As the year 2012 comes to a close today, it’s time to take a look back at 366 days worth of blogles and view the ten that piqued your interest the most. 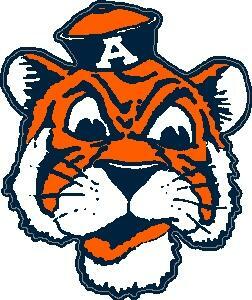 Given that this year was not kind in any way to the Auburn Tigers, I’m as ready to get to the new year as anybody. 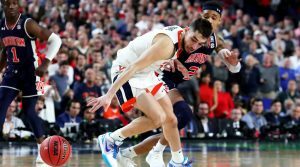 When the big three sports combine for a 45-57 record, it’s hard not to look ahead, but you don’t know where you’re going unless you know where you’ve been… or something like that. As it was last year, my uniform obsession seems to have seeped into your brains and taken a stronghold. Of the top ten most read blogles, four were uniform-related. Apparently it’s not as pointless as some may suggest. It’s fun, isn’t it? As far as the ‘Blogle and all things ‘Blogle are concerned, there was a slight drop in overall page views, but we all know that has to do with the fact that nobody wanted to read anything about Auburn after around October. Twitter followership did jump up around 9,000 sheep, uh, followers to over 25,000 in the year 2012, so there’s that. As a guy that just does this as a hobby, I’m pretty proud of that. And as last year, I beg you, just give me a dollar a month. How hard would that be? I’m only slightly kidding. Another year has passed and the ‘Blogle is still here, so we can call it a success. I have many things planned for the new year, but I’ll lay those out in my Resolutions post in the next day or so. For now, take a look back and feel free to re-read the top 10 blogles of 2012. In case you needed something to help you get a little amped up for the opener against Clemson, “Mr. Clemson Tom” here will give you plenty to get amped about. 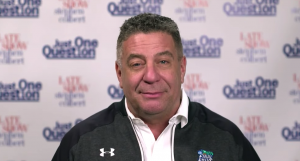 He seems to know a lot about Auburn, while also making every lame joke that we hear from every fan base, but it doesn’t stop there. Brace yourselves. Seriously. Sit down. I have some bad news for you. Are you ready? 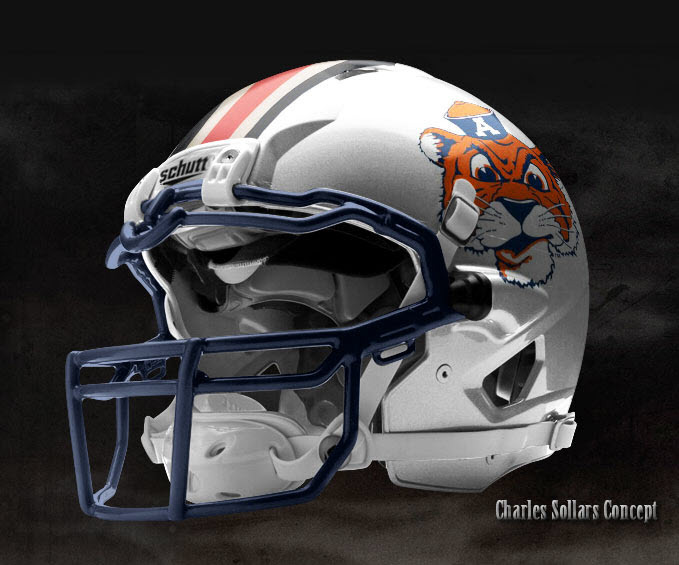 The old Tiger head logo that Auburn has recently brought back to hats and t-shirts, the one I wrote about Missouri also using a few weeks ago, and the one that most Auburn fans call their favorite vintage logo…. yeah, according to this article, it was created by an Alabama graduate. Wait, it gets worse. Not only did he graduate from Alabama, but he created it for LSU before it came generic clip art for other teams that use a tiger mascot like Princeton, like Missouri, and yes, like Auburn. Talk about a double whammy. 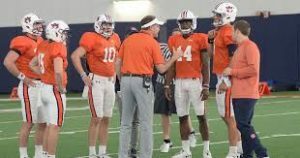 After taking the entire 2011 season off (and let’s be honest, we all sort of did), the man, the myth, the legend, A96 (or autiger96) returns to give you a heart-pumping, chillbump-inducing preview of your 2012 Auburn Tigers. You only get a little tease today, but the full version named “Auburn Arise” will be released next Tuesday, August 14. Enjoy this taste for now. If it excites you, the full version will make your head explode. Believe me. Whether it’s about blue helmets, blue pants, mock Nike Pro Combat uniforms, completely off-the-wall uniform concepts, or orange jerseys, uniform talk is always a big pull on the ‘Blogle. 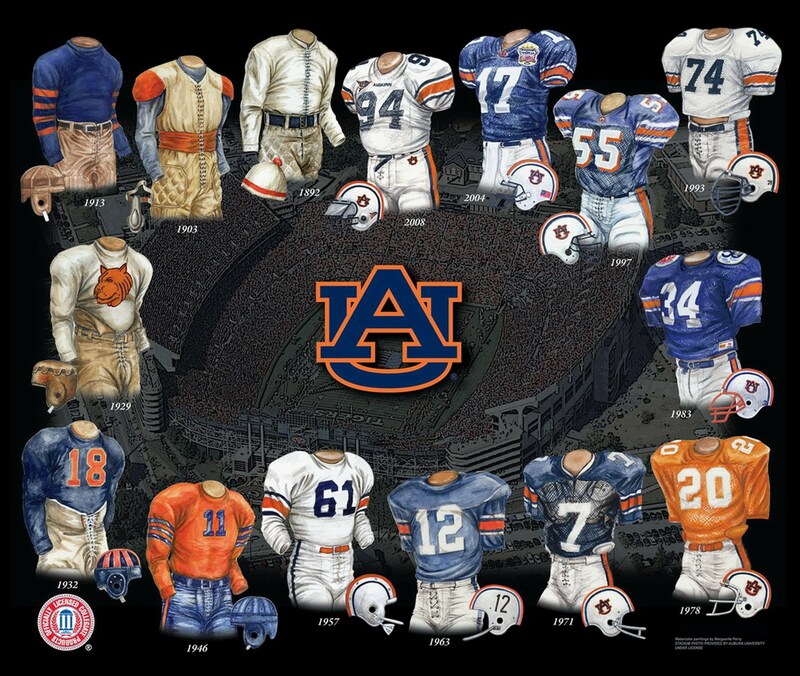 I don’t know why, but I have always loved talking about Auburn uniforms, and apparently you love reading about them. No, I am not sports-ist when it comes to uniform love. 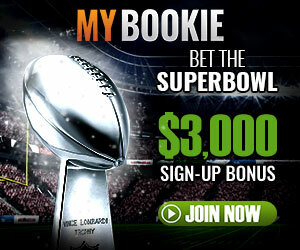 I don’t just keep it in the football realm. 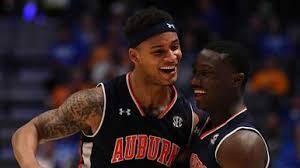 Truth be told, though, the other two major sports at Auburn change their uniforms enough that there is no real tradition to them, leaving little occasion to fall in love with them. Did I just say that about uniforms? Yes, I did. Earlier today, I learned that Ole Miss will be holding their Homecoming festivities this weekend as the Rebels take on Auburn. Wait, what? We’re Ole Miss’s Homecoming game?! Just continue to kick us while we’re down. 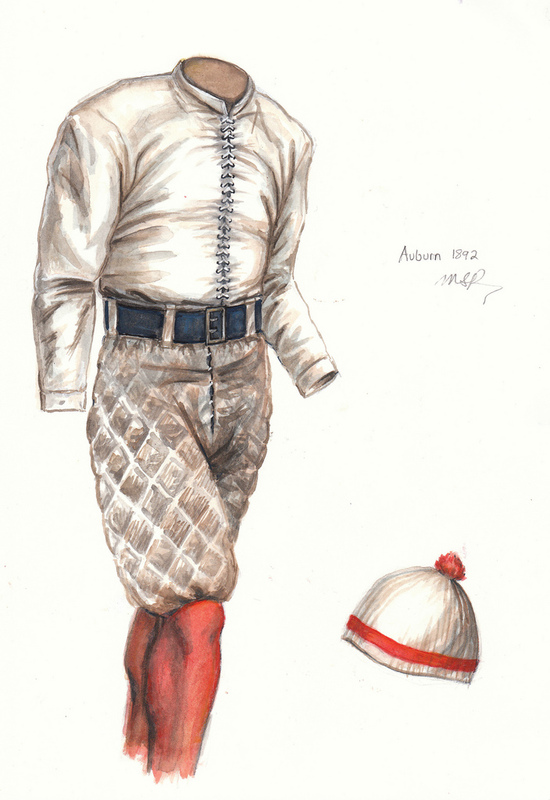 As you saw in my Top 10 Posts of 2011, five of the ten most read posts of the past year were related to Auburn’s uniforms. 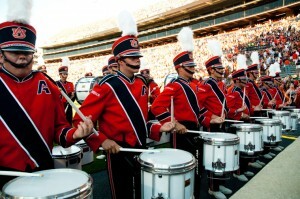 Needless to say, uniforms have been a hot topic over the past few years with Auburn fans. 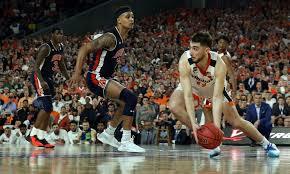 There seems to be an endless debate over whether Auburn should make major uniform changes for one game a year or stick with what some call the “traditional” uniform always and forever. 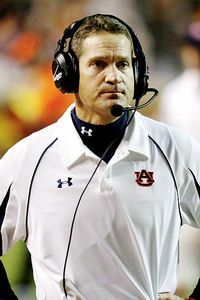 As you know by now, Coach Gene Chizik was fired earlier today from his position as the head coach of the Auburn University football team. There is plenty of time to talk about this in later blogles, but for tonight, I give you the last email that Chizik sent to Auburn students just moments ago. Once reading it, you will no doubt feel a little less anger than you may have felt over the last few months. 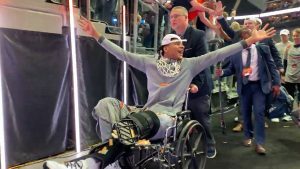 He’s just a guy, albeit a millionaire, that was doing his best to win football games at Auburn. For the most part, he did that. I am very grateful for the opportunity that I had during the last four seasons to serve as the head football coach at Auburn University. I’m extremely disappointed with the way this season turned out and I apologize to the Auburn family and our team for what they have had to endure. Harvey Updyke watched Alabama lose to Auburn in 2010. Harvey Updyke poisoned the Toomer’s trees. Harvey Updyke called Finebaum to admit and brag about it. Harvey Updyke got arrested. Harvey Updyke was labeled “just one crazy.” Harvey Updyke became a hero among many Alabama fans. Harvey Updyke, with help from his lawyer, denied poisoning the Toomer’s trees. 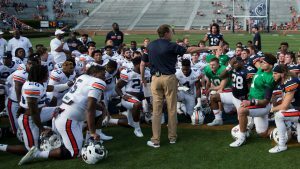 Thanks again for reading and making this the best Auburn blog out there (according to Mom Blogle).